Taiwan External Trade Development Council (TAITRA), Taiwan’s foremost trade promotion organization, announced this year’s edition of COMPUTEX, a leading global ICT and IoT show. 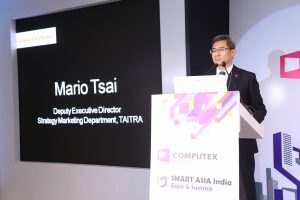 In addition to COMPUTEX, TAITRA also promoted SMART ASIA India & TAIWAN EXCELLENCE in New Delhi. Mr. James Kuo, Deputy Executive Director of Exhibition Department at TAITRA inaugurated the conference along with Mr. Champak Raj Gurjar, President- Federation of all India IT. 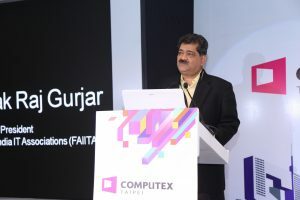 The conference also witnessed participation from COMPUTEX, SMART ASIA India & TAIWAN EXCELLENCE representatives. 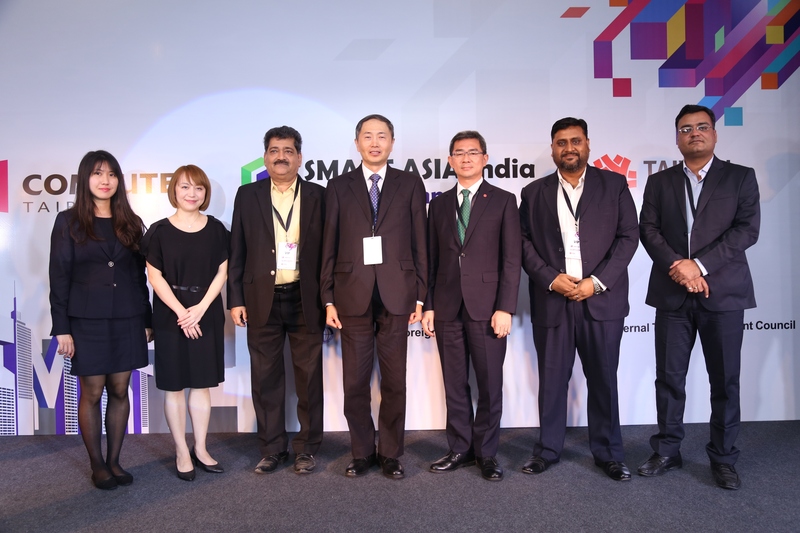 Sharing his vision on India- Taiwan relationship, Mr. Champak Raj Gurjar, President- Federation of all India IT said, “COMPUTEX & SMART ASIA are the perfect shows of the year for Taiwanese and Indian IT players to create business and sourcing for potential partners. India-Taiwan economic relations received further boost after the singing of “India-Taiwan Economical Cooperative Agreement”. The agreement led to intensified cooperation in crucial areas of technical assistance, innovation, entrepreneurship and business incubation. We wish all the success to this year’s edition of COMPUTEX, SMART ASIA India & TAIWAN EXCELLENCE and hope the endeavor will fortify the economic ties between the two progressive nations”. 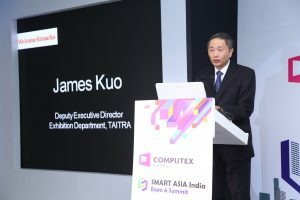 Mr. James Kuo, Deputy Executive Director Exhibition Department TAITRA said, “It is a great honor for us to announce this year’s edition of COMPUTEX, SMART ASIA & TAIWAN EXCELLENCE. Taiwan has been making a drastic shift from high-tech manufacturing to an innovation-driven economy. Its ICT capabilities have also gained its reputation as a global leader in smart technologies and smart city solutions”. COMPUTEX made a strong presence at Smart ASIA 2017. SMART ASIA is a trade show which showcases Taiwan’s smart technologies and products to a broad Indian audience. With its resounding success last year, it is set to return in 2018 with a focus on Smart City Solutions, Smart Technology Applications, and City Development Products & Services. Taiwan has been utilizing smart technologies in building efficient modern cities for many years now and is recognized as a global leader in smart city solutions. SMART ASIA India provides an excellent platform for us to share our experience and create partnerships with India”. Organized by TAITRA, the show will take place from October 4-6, 2018, at Bangalore International Exhibition Centre (BIEC). Founded in 1970 to help promote foreign trade, TAITRA is Taiwan’s foremost non-profit trade promoting organization. Sponsored by the government and industry organizations, TAITRA assists enterprises to expand their global reach. Headquartered in Taipei, TAITRA has a team of 1,300 specialists and operates 5 local offices in Taoyuan, Hsinchu, Taichung, Tainan and Kaohsiung as well as 60 branches worldwide. Together with Taipei World Trade Center (TWTC) and Taiwan Trade Center (TTC), TAITRA has formed a global network dedicated to promoting world trade.